There is no better way to learn how the household economy works than to take part in the whole day guided tour at Melliodora. 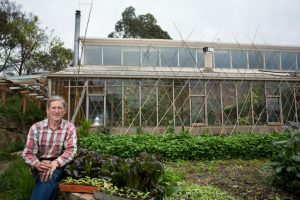 Situated in the Victorian central highlands, Melliodora is one of the best examples of working cool-temperate climate permaculture in the country. 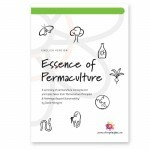 A summary of permaculture concept and principles taken from Permaculture: Principles and Pathways Beyond Sustainability available as a free download in PDF format. Also available as an ePub, ideal for mobile devices at a price you can choose - and an A5 booklet . A community group based in Hepburn and Daylesford in Central Victoria, Australia that David and his partner Su Dennett are involved with. Recognising the urgent realities of peak oil and climate change this group is responding by raising awareness about how these issues affect the local community, and how to respond to these realities with a plan for the future. FutureScenarios.org presents an integrated approach to understanding the potential interaction between Climate Change and Peak Oil using a scenario planning model. 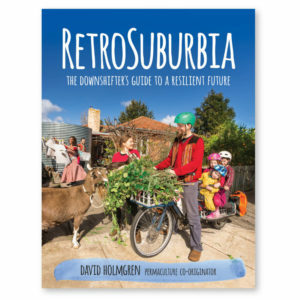 In the process David introduces permaculture as a design system specifically evolved over the last 30 years to creatively respond to futures that involve progressively less and less available energy. Shop managed by Permaculture Principles. Want to know about our delivery and refund policy?